I'm going to share with you today, the inside scoop, on one of our country's most coveted natural resources; MAPLE SYRUP! 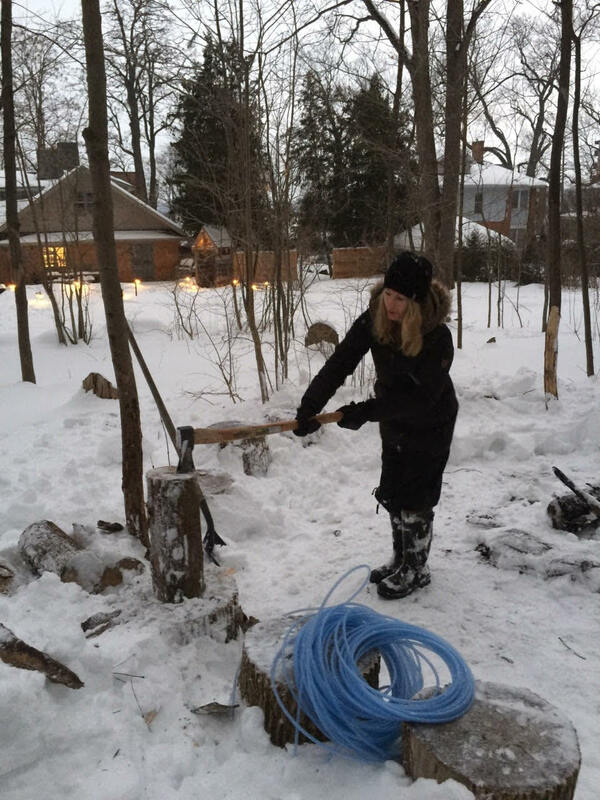 The young couple, out of Barrie, Ontario, begin prepping for Maple Syrup season as soon as the first thaw hits. 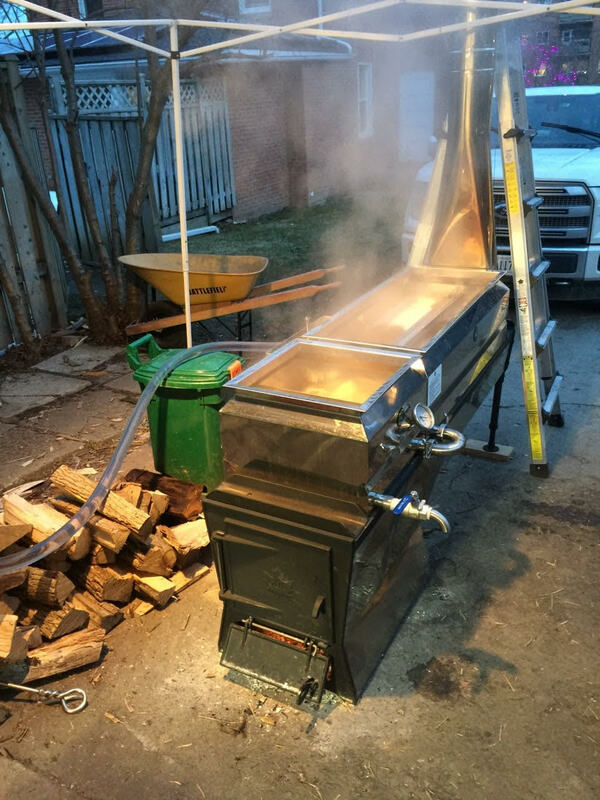 It's all hands on deck to get this operation going before the sap starts flowing. 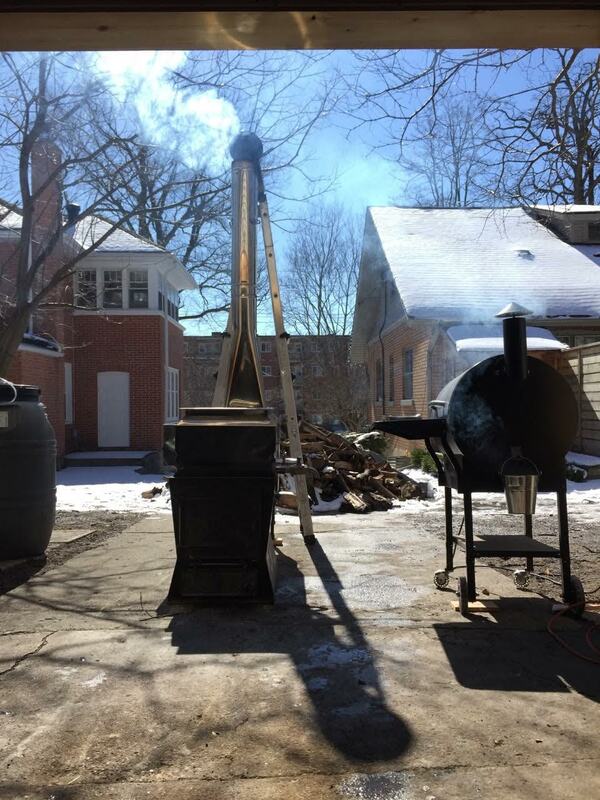 The first step is to run the hoses, and get the wood chopped to help fuel the boiling process. William uses hosing rather than taps and buckets for efficiency. The hosing all runs down to barrels for collecting and then a larger hose runs from the barrels to the cooker. 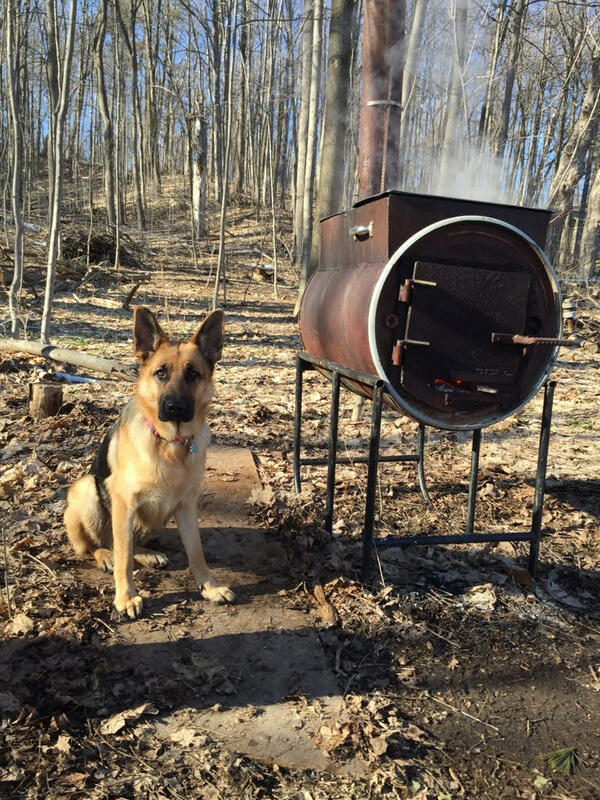 The cooker is where the first stage of the magic happens. 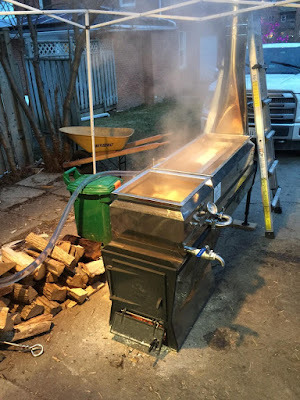 After the cooking stage the sap is put through a 2nd boiling, where it must reach a boiling point of 107 degrees Celsius (or as close to it) This is what really makes the sap, into syrup! After this stage it is ready to bottle! 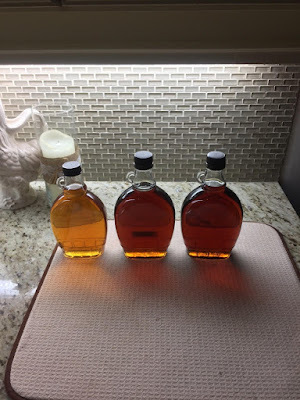 Not all Maple syrup is created equal though. 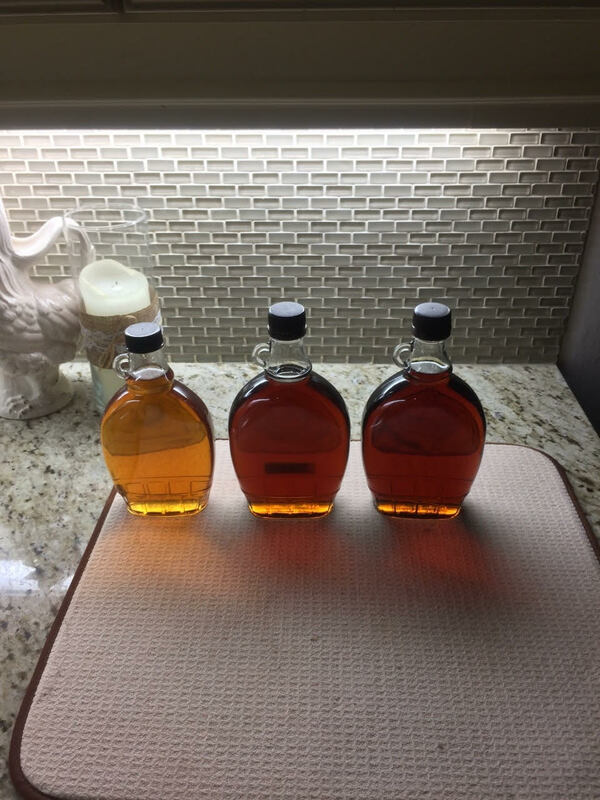 Maple syrup can vary in colour, and flavour depending on what stage in the season it is created. The lighter the syrup, the earlier in the season it was made, and the less flavour it can have. 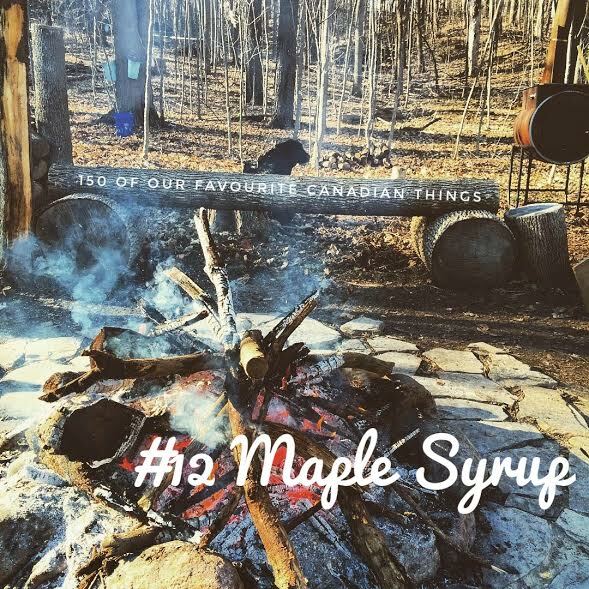 The darker the syrup, the later in the season it was made, but it also tends to have a stronger maple flavour. Isn't it incredible that something so flavourful and deliciously sweet, can come out of a tree in your backyard? Oh Canada! Oh Maple Syrup! Cheers!